The Black Pig pirate ship comes into dock to round up some land lubbers to set sail to the Caribbean just like Jack Sparrow. 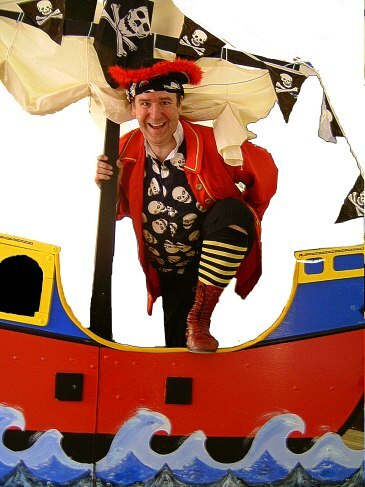 Action packed party includes a puppet show, dressing up chest, musical pirate party games, magic show and treasure. Popular with girls and boys of all ages. The disco includes well known musical party games given a nautical theme. For example 'Simple Simon Says' is replaced with 'Captain Says'. Part of the magic show has the children dressing up as pirates and using magical spells to find the long lost treasure of Captain Kidd. For a small extra hire charge enough costumes are available to dress every child up as pirates for the party.